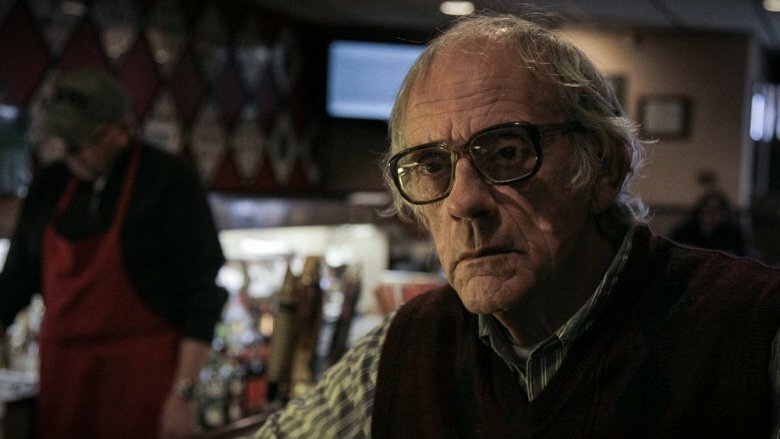 When it comes to character actors (or just actors in general), Christopher Lloyd is one of the all-time greats. His unique blend of charisma and mania has created his own personal pantheon of classic movie characters that range from the charmingly weird to the weirdly charming. After seeing him play a role like Dr. Emmett Brown in Back to the Future, Max Taber in One Flew Over the Cuckoo's Nest, or Judge Doom in Who Framed Roger Rabbit, you can't even imagine someone else trying to inhabit that role. Since the mid-'90s, however, it feels like we haven't seen Christopher Lloyd much at all. He went from being an A-lister at the top of his game to pretty much disappearing entirely. For those of you who have been missing him, don't worry! He wasn't dissolved in dip or sent back in time to the old west. There's a variety of reasons, some quite surprising, as to why Hollywood's favorite old lovable loon hasn't been around as much lately. Let's see what he's been up to. Struggling actors will typically take whatever parts are offered to them in major studio films. Then, once they've had a run of successful projects, they'll often start getting pickier. This has been the reason that many famous actors have suddenly disappeared soon after hitting it big — they're no longer desperate to work, and so they only work when a role truly speaks to them. Funny enough, for Christopher Lloyd, just the opposite is true. If you check out his filmography, you'll see that he is still working constantly, and the reason we aren't seeing him popping up in major films is that he isn't picky at all. He has stated on multiple occasions that he doesn't mind small roles in small projects. For instance, in an interview with Metro New York, he said, "I've done a lot of films I haven't heard about since wrap night… but I don't care. I have to work." He went on to say, "Unless it's total garbage, I'll work, whatever comes along. The money might not be fabulous. But I don't mind that." So even though Christopher Lloyd doesn't seem to care much about "being an actor" in the celebrity sense, he does still very much care about "doing acting" as much as he possibly can. 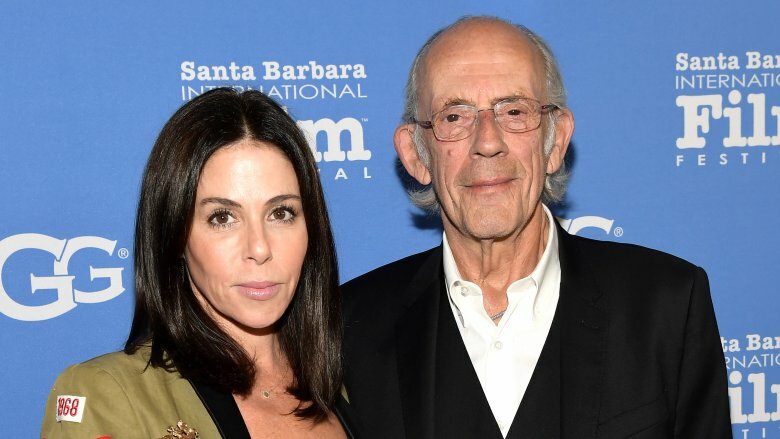 Even though most think of him as a movie star, Christopher Lloyd's first love was the stage. He studied the Meisner Technique of acting at the Neighborhood Playhouse School of Theatre in New York City, and his instructor was the actual Sanford Meisner himself! Over the past few years, since his mainstream popularity has waned somewhat, Lloyd has made a triumphant return to the stage. He played Ezra Pound in the critically acclaimed off-Broadway play Pound in 2018. He was in a 2013 production of Bertolt Brecht's bizarre modernist fable The Caucasian Chalk Circle. He was even in a 2008 stage production of A Christmas Carol alongside John Goodman and Jane Leeves, and although that sounds like a winning combination, it was apparently a troubled production that received mixed reviews. Still, his performance as Scrooge garnered enthusiastic ovations. Lloyd has remained a fixture of the American live theater scene for decades now, and it's easy to see why. If you've seen how he lights up the screen, just imagine being in the same room with him. Some of the time that Lloyd hasn't been working can be attributed to the fact that he has always had an eventful personal life, with more than its share of ups and downs. He's never had children, but he has had a long string of marriages, and not all of them ended amicably. His first marriage was in 1959 to a woman named Catherine Boyd, who he then divorced in 1971. From what we can tell, it seems that this was his most publicly acrimonious divorce. In 2002, Boyd even sued Lloyd for alleged unpaid alimony payments. Lloyd married a second time in 1974, this time to actress Kay Tornborg, and remained with her until 1987. He then married a woman named Carol Ann Vanek in 1988, but only stayed married to her until 1991. Shortly after that, he entered into his fourth marriage, with screenwriter Jane Walker Wood, and stayed with her from 1992 until 2005. He decided to spend the next decade single, but just recently married again in 2016, this time to a real estate broker named Lisa Loiacono. Here's hoping this one sticks. 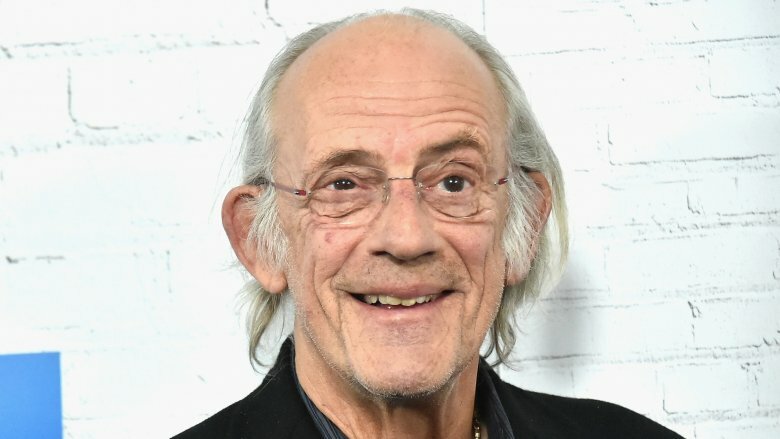 If you're an adult, you might not see Christopher Lloyd very much nowadays, but if you're a kid (or a kid at heart), you might still be hearing his voice pretty often. 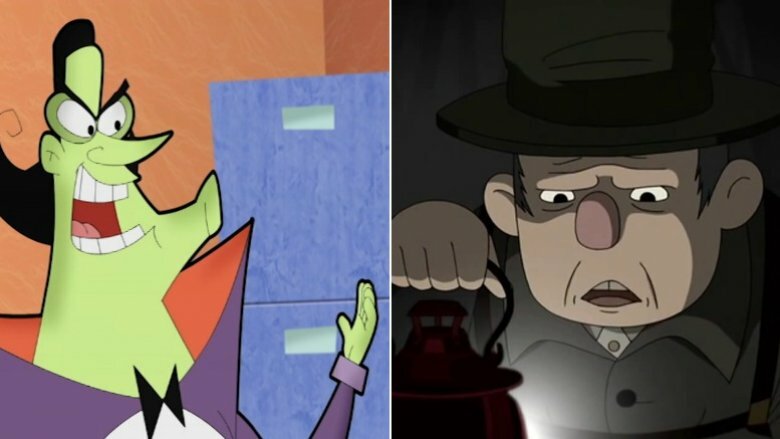 Lloyd's iconic voice has been getting steady work in animation ever since he played the villainous Merlock in the true cinematic masterpiece that is 1990's DuckTales the Movie: Treasure of the Lost Lamp. Lately, he's been working on the children's show Cyberchase — according to an interview with PBS, he is proud to voice the main villain, Hacker. He gave an excellent performance as a wise old mouse named Hovis in the fantasy adventure film The Tale of Desperaux in 2008. He was also in the truly disastrously bad Foodfight!, which is already becoming a cult classic for fans of bizarre cinema, and has been heralded by some as the worst children's movie of all time. Perhaps most notably, he had a big role as the Woodsman in the critically acclaimed Cartoon Network miniseries Over the Garden Wall back in 2014. Unlike Foodfight!, it's actually good. There are only ten episodes, and each one is just 11 minutes long. It's a wonderfully crafted, spooky little gem of a show, regardless of how old you are. 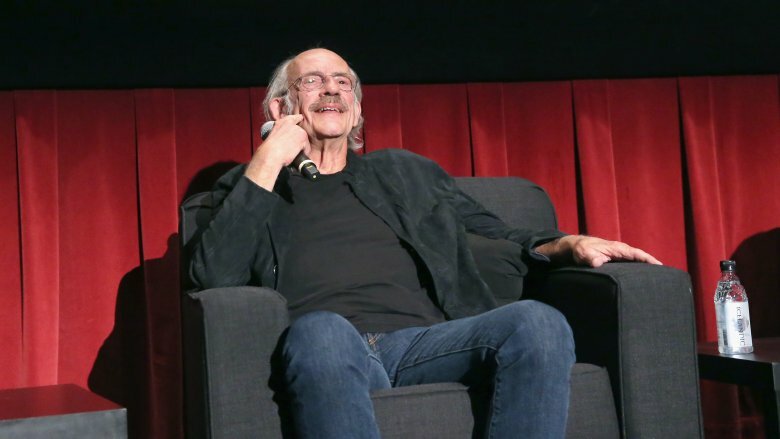 Even though he hasn't been a recurring cast member on a big television show since his days on Taxi, nowadays Christopher Lloyd spends as much time on the small screen as he does on the big one, albeit usually in brief appearances as a guest star. For instance, he appeared on the revival of Roseanne as Bev's comically elderly boyfriend Lou. 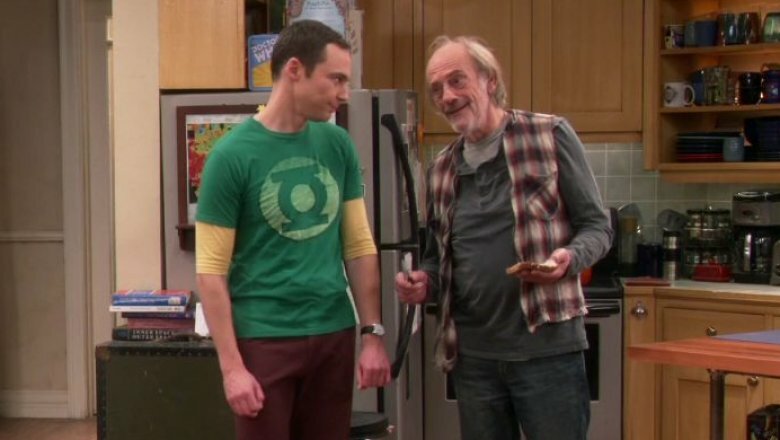 He also showed up in The Big Bang Theory as Theodore, a creepy vagrant to whom Sheldon rents his room as part of a multi-faceted plot for revenge against Leonard. If you go back a little further, Lloyd has had no shortage of great TV appearances. He was a guest on the 100th episode of Psych, which was a loving homage to his film Clue and also featured several of his co-stars from that movie. He was on an episode of Law and Order: Criminal Intent, because apparently all actors are legally required to appear on at least one Law and Order show at some point in their career. If that's not enough for you, he did briefly have a spot as a regular on the short-lived sitcom Stacked, which also starred Pamela Anderson. Anyone remember Stacked? If you're anything like us, one reason that the world might not hear from you all that often is that you have fallen down an internet hole, and have been spending too much time on social media. It happens to the best of us, but now it seems that even the previous generation's Hollywood elite are not immune to the insatiable desire to up-vote dank memes and yell at people of an opposing political persuasion. So yes, nowadays Christopher Lloyd has become a fan of social media. His platform of choice is Twitter, where he tweets under the verified handle @DocBrownLloyd. His feed largely consists of chatting with fans, retweeting Back the Future memes, and speaking his mind about our current political climate. He may or may not have, in the recent past, retweeted a joke made by Chris Evans which compared certain prominent political figures to certain villains from Back to the Future. His feed is certainly an entertaining place to be, but let's hope he can remember to use the internet responsibly. We still want to see him on the big screen and the little one, rather than spending all his time on the smallest screen of all. Animation isn't the only place where Christopher Lloyd's powerful voice has found a home. Since the 1990s, he has been lending his voice (and sometimes his face) to video games. He reprised his role as the voice of Doc Brown in the relatively recent Telltale series of Back to the Future adventure games. He also played the starring role of King Graham in the recent series of King's Quest video games, but we haven't even gotten started yet. Are you ready for something weird? Lloyd's most peculiar foray into the world of videogames has to be the singularly strange 1996 DOS game Toonstruck. In this point-and-click adventure game, which features a hybrid of live action and traditional animation, Lloyd not only voices, but also appears as the main character, a cartoonist named Drew Blanc, as he interacts with a largely digital environment. The game also features performances by Ben Stein, Dom DeLuise, and Tim Curry. Despite being critically well-received, this truly unique oddity has been pretty much completely forgotten by modern gamers. If this has you intrigued, Toonstruck is currently available on Steam. For the past few years, Lloyd has spent a decent chunk of his free time travelling around the United States hosting live screenings of his films, followed by Q&A sessions. Previous live shows of his have occurred at venues such as the Thousand Oaks Civic Arts Plaza in Los Angeles and the State Theatre in Easton, PA. He is also no stranger to the convention circuit. He once even appeared at Wizard World Philadelphia alongside Back to the Future co-stars Lea Thompson and Michael J Fox. Lloyd has never shied away from appearing publicly or interacting with fans. In an appearance at Emerald City Comic Con, he said, "What's particularly gratifying is how many people have come up and said that Back to the Future changed their lives, or they chose certain careers because of the influence of the movies." Appearing alongside him was actor Tom Wilson, who played Biff Tannen in the films. Wilson jokingly added that his character had a less positive impact on society, saying, "Biff has inspired many Mafia thugs." Keep an eye on your local convention circuit. Even if you're not seeing Christopher Lloyd much in movie theaters, there are more chances than ever to talk to him in person. The truth is that Christopher Lloyd was always difficult to cast. He has a very specific energy that is perfect for some very specific roles. Some of the big roles that he nabbed early in his career might have been a result of being in the right place at the right time. Perhaps he was always destined to be a mid-level character actor. Lloyd used to make up for the limited demand for eccentric weirdos in big films by playing a very wide age range, bouncing back and forth between older characters and younger characters from film to film. For instance, he played the elderly Doc Brown in Back to the Future and the much younger Professor Plum in Clue in the same year, when he was 46 years old. Now that he's becoming an old man for real, his options are getting more limited. In the previously mentioned interview with Metro New York, he has hinted at the difficulties that have come with getting older, saying, "I once did a Q&A for Back to the Future, and some little kid asks for the microphone and says, 'Mr. Lloyd, now that you're older do you miss putting on old age makeup?" Lloyd chuckled heartily. "Great observation for a little tyke." 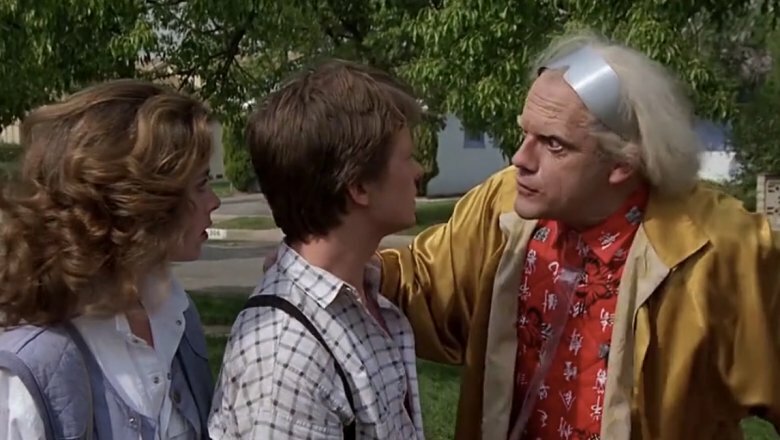 One unfortunate reason that we're not seeing more of Christopher Lloyd is simply that Back to the Future is probably never coming back. Lloyd himself isn't the problem — he still loves playing Doc Brown in cameo appearances and peripheral materials. When asked in an interview with the Phoenix New Times about whether he'd participate in a sequel, he said, "I'd be delighted. I'd love to be in a fourth film." The producers are definitively against it, though, and there's also the matter of Michael J Fox's health issues. 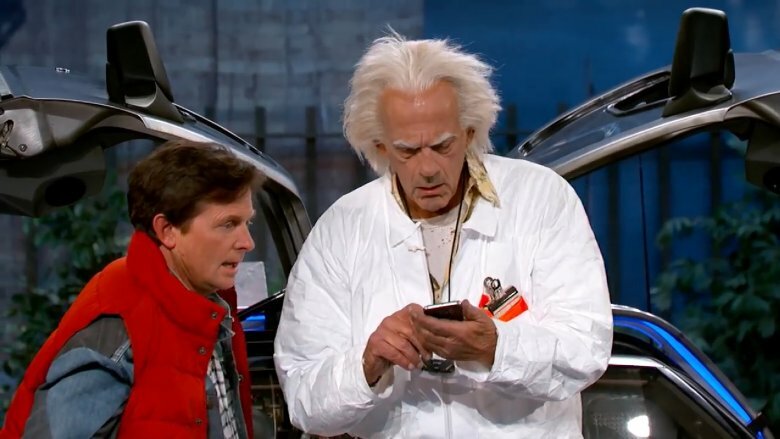 Fox has been battling Parkinson's disease publicly since 1998, and though he's acted regularly since then, a new leading part in a Back to the Future film would be more than he could comfortably handle. When asked about the prospect of a sequel, director Robert Zemeckis said, "Oh, God no… That can't happen until both [producer Bob Gale] and I are dead… It's like saying, 'Let's remake Citizen Kane. Who are we going to get to play Kane?' What folly, what insanity is that?" Back to the Future might have ended, but its spirit is being carried on in other media. 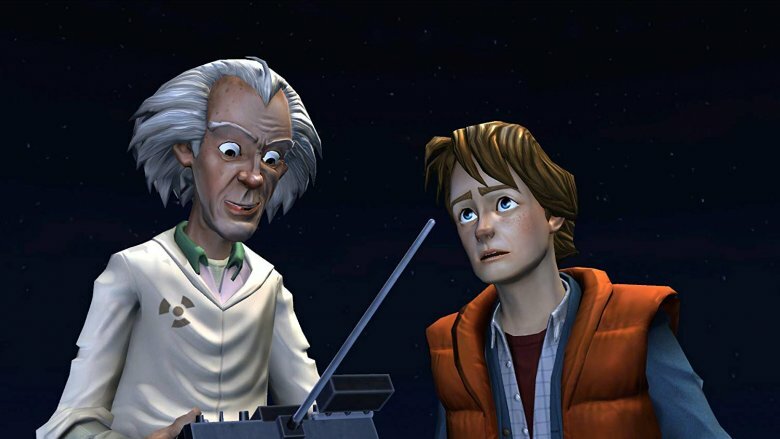 Foremost among these is the mega-hit twisted adult cartoon series Rick and Morty, whose two main characters were inspired by Doc Brown and Marty McFly, respectively. Christopher Lloyd has apparently seen it, and in the same New Times interview, expressed interest in making a guest appearance on the show, perhaps as Rick's father. So, what does the future hold for Mr. Lloyd? He's probably just going to keep his head down and keep doing what he loves, working on whatever little films come his way, regardless of how small or how strange they might be. Up until now, he has only ever worked as an actor, jumping onto whatever project will have him. He has however, expressed interest from time to time in writing, directing, or producing something of his own. 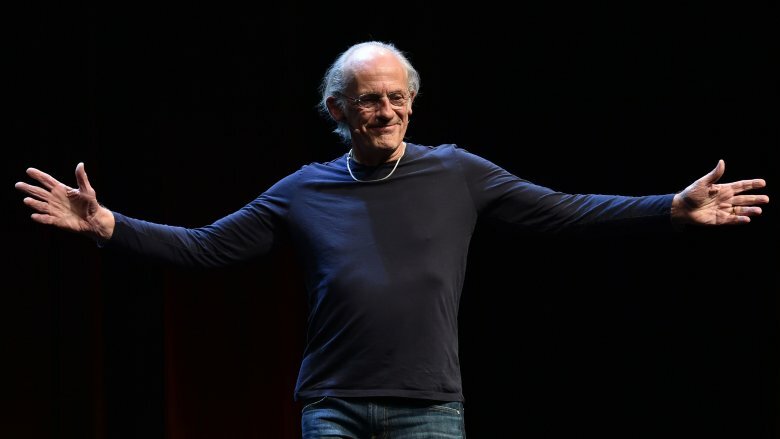 It might seem like it's a little late in his life to be considering a career change, but remember that Christopher Lloyd has always been a late bloomer — he didn't catch his first major break as an actor until he was 37 years old! Nothing has materialized yet, but back in May of 2018, he implied in a tweet that he was producing an independent film of his own on the side. This comment might have just been one of the initial signs of Twitter Madness finally taking hold, or it could be the first teaser of a second chapter in Christopher Lloyd's story, hopefully arriving in the not-too-distant future.